තිලකසිරි, පී. (2008). හැඟීම ප්‍රකාශනය, රස වින්දනය හා භාරතීය සංගීතයේ ශ්රුති භාවිතය. 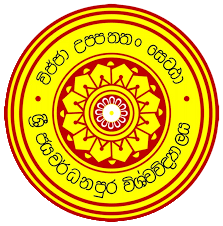 කලා සඟරාව, ශ්‍රී ලංකා කලා මණ්ඩලය , 01(03), 85-93. Social Aesthetics of Kohomba Kankariya: Some Ethnomusicological Perspectives. Book Review: Down Melody Lane by Joshi, G. N. (1984). Bombay: Orient Longman Ltd.